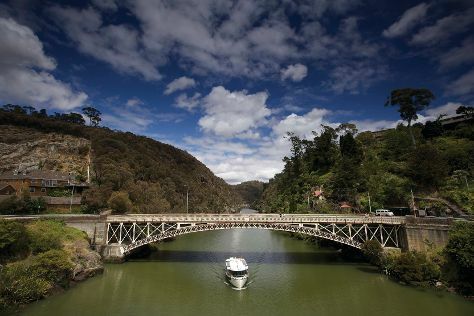 On the 4th (Sun), look for all kinds of wild species at Cataract Gorge Reserve, admire the verdant scenery at The Tamar Valley, and then stroll through City Park. For photos, reviews, and tourist information, read our Launceston travel planning tool . Kuala Lumpur, Malaysia to Launceston is an approximately 14-hour flight. You can also do a combination of bus and flight; or do a combination of train and flight. You'll lose 2 hours traveling from Kuala Lumpur to Launceston due to the time zone difference. Expect colder temperatures when traveling from Kuala Lumpur in August; daily highs in Launceston reach 13°C and lows reach 1°C. Wrap up your sightseeing on the 4th (Sun) to allow time to drive to Hobart. Kick off your visit on the 5th (Mon): look for all kinds of wild species at Bonorong Wildlife Sanctuary, then examine the collection at Mona, and then appreciate the extensive heritage of Battery Point Sculpture Trail. 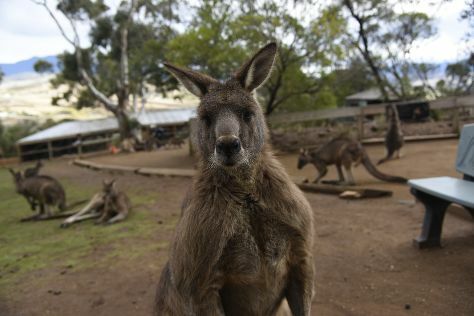 On the 6th (Tue), you'll have a packed day of sightseeing: take your sightseeing to a higher altitude at Mount Wellington, take in nature's colorful creations at Royal Tasmanian Botanical Gardens, then engage your brain at Tasmanian Museum and Art Gallery, and finally step off the mainland to explore Macquarie Island. To find more things to do, where to stay, traveler tips, and tourist information, read our Hobart online holiday planner . Getting from Launceston to Hobart by car takes about 2.5 hours. Other options: take a bus. In August, plan for daily highs up to 15°C, and evening lows to 4°C. Wrap up your sightseeing by early afternoon on the 7th (Wed) to allow enough time to travel back home.